Is Your Plant Burning Up All It’s Profits? 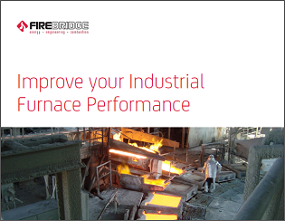 Significant savings and risk reduction can be achieved by improving the performance of the furnace being used. In our experience managing retrofits of industrial furnaces, we’ve found that retrofits typically result in a return on investment (ROI) of at least 30%! That may sound high, but it’s a conservative estimate – many ROIs are much higher. That’s because when furnaces age, they are usually far from as efficient as they should be, and many companies haven’t improved their systems in decades. © 2019 Firebridge. All Rights Reserved.